The basis for comparison is not entirely clear from the picture: it says “population + employment”, so if we use less carbon on the job than at home, the city center gets a bonus. But something similar has been found in other cases: for central vs. suburban Toronto, see Norman, Jonathan, Heather L. MacLean, and Christopher A. Kennedy. 2006. 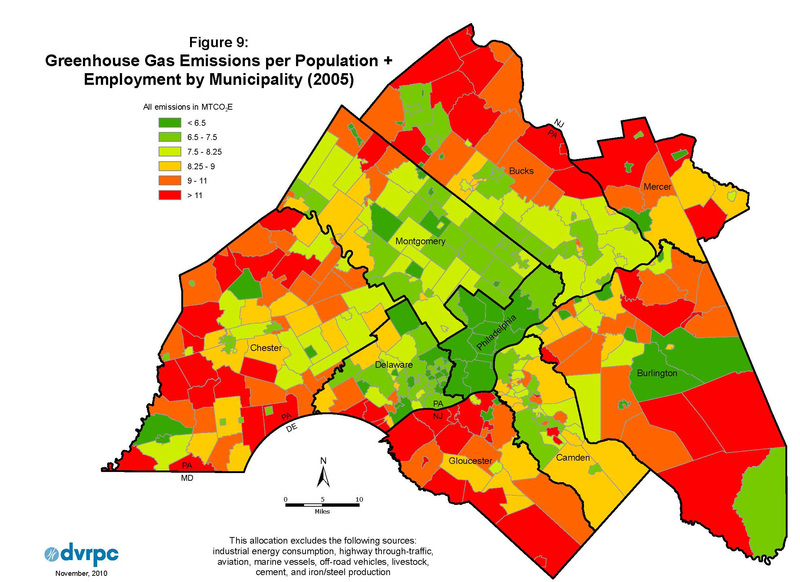 Comparing High and Low Residential Density: Life-Cycle Analysis of Energy Use and Greenhouse Gas Emissions. Journal of Urban Planning & Development 132 (1):10-21; for Dortmund, see Wegener, Michael. 1996. Reduction of CO2 emissions of transport by reorganization of urban activities. In Transport, Land-Use and the Environment, edited by Y. Hayashi and J. Roy. Dordrecht: Kluwer. There’s some discussion of this in my paper on road traffic externalities and the competitiveness of walkable retail. For more discussion of the study behind the map, see Brendon Slotterback at streets MN. In Atlantic Cities, Chris McCahill and Norman Garrick report a negative relationship between population and job growth (living, working), and driving within the city. This they attribute to a simple mechanism: cars (and, in particular, parking spaces) displace people. Note in particular the that the cities with declining median income, and people (jobs & residents), saw big increases in parking space & driving. The sample is small, but the story is plausible. 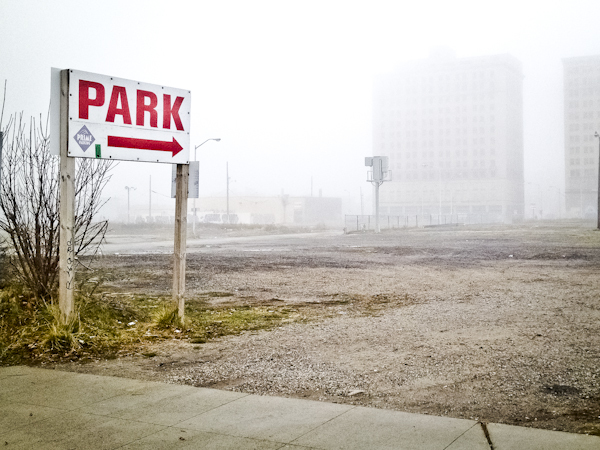 Maybe Detroit really does need more parking! See civil society mobilize to reinvigorate Detroit, in what could be a model for derelict, low-density post-industrial wastes everywhere. Join the campaign on Facebook site.